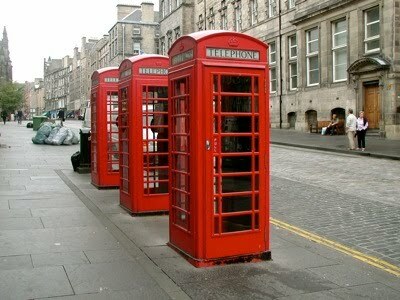 Phone booths in Edinburgh, Scotland. Photo by Sue Frause. Tartan Day is officially April 6, 2010 and Canadians from coast to coast will be celebrating. Especially if they're of Scottish descent or heritage. According to Wikipedia, Scottish Canadians are the third-largest ethnic group in Canada and among the first to settle in the country. Statistics Canada says that the number of Canadians claiming full or partial Scottish descent in the 2001 census was 4,719,850 or 15.10% of the nation's total population. But many think that's a major underestimation. There's even a book titled How the Scots Created Canada, by author Paul Cowan. But enough with the numbers. This week cities and communities around the world will be celebrating National Tartan Day. Among the Canadian centers of celebration are Victoria and Chemainus on Vancouver Island; Ottawa; Quebec and Halifax.